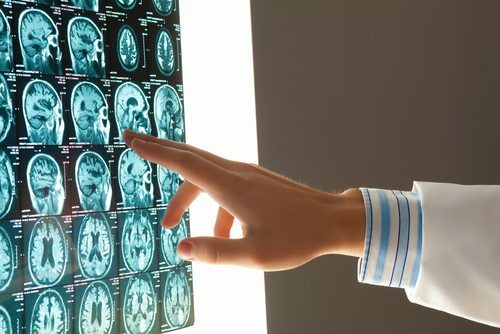 Brain injuries can be a result of a variety of accidents; however, they are most prevalent in car accidents, motorcycle accidents, and slip and fall injuries. While some brain injuries are obvious immediately after the accident takes place, it’s not always clear that a brain injury is present. Symptoms can take time to manifest, and it’s important to be on the lookout for signs of a brain injury after any accident. Here are three symptoms of a brain injury you should never ignore. Individuals who suffered a brain injury may have no other symptoms other than nausea and/or vomiting. Vomiting should be taken seriously after an accident, and testing should be done as soon as possible to rule out brain injuries. Injuries, like brain bleeds, may not show up on imaging scans right after the accident, so if vomiting or nausea persists, insist on getting another scan to make sure that no bleeding or other injury is present. It’s not uncommon to be a little dizzy or have a headache after being involved in an accident of some kind. However, if the headache and dizziness don’t let up after several hours, or if they increase in intensity, it’s important that you visit a medical professional as quickly as possible for testing. While headaches and dizziness may not necessarily mean that a brain injury is present, they can be an indicator and should be taken seriously. If you or a loved one have been involved in an accident of any kind and begin to have slurred speech or have trouble remembering things, it’s critical that you seek medical attention immediately. Unlike headaches and dizziness, slurred speech or changes in the ability to remember information are not common after being in an accident. These symptoms are more likely to indicate that a brain injury of some kind is present. If you or a family member have been diagnosed with a brain injury, life can change quickly and without warning. Even mild brain injuries can be challenging and costly to overcome. You may need surgery, and you’ll likely be out of work for some time following your injury. Physical therapy and medications also may be recommended. Compensation may be available for medical care and other damages if the accident you or your loved one were involved in was caused by someone else. By contacting an experienced Ocala, Florida car accident attorney as soon as you are able, you can learn more about whether financial restitution may be available to you and how to bring a personal injury claim forward. At the Slonaker Law Firm, we have successfully helped dozens of brain injury victims and their families get compensation for their injuries, lost wages, and emotional suffering. We can provide you with expert legal representation today. Contact us now for a consultation to discuss your case at 352-629-6656, or toll free at 888-629-6656.